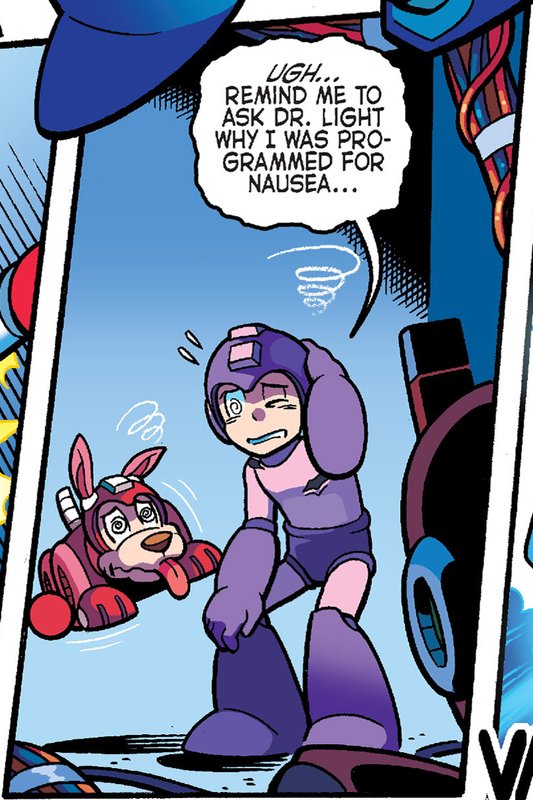 I think a better question would be why he programmed your robot dog for nausea too. 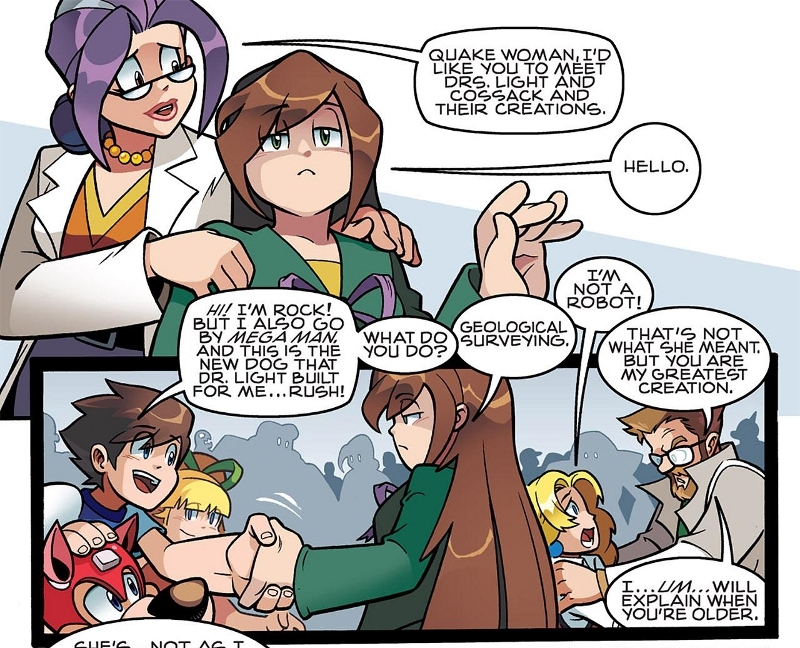 Today’s example of questionable coding has been brought to you by Mega Man #43 (January 2015) by Ian Flynn, Powree, and Gary Martin. Hey, villains have to do something to pass the time while waiting for the hero to reach their lair. There’s probably a good reason why “passive-aggressive needlework” isn’t a popular form of therapy or stress relief. 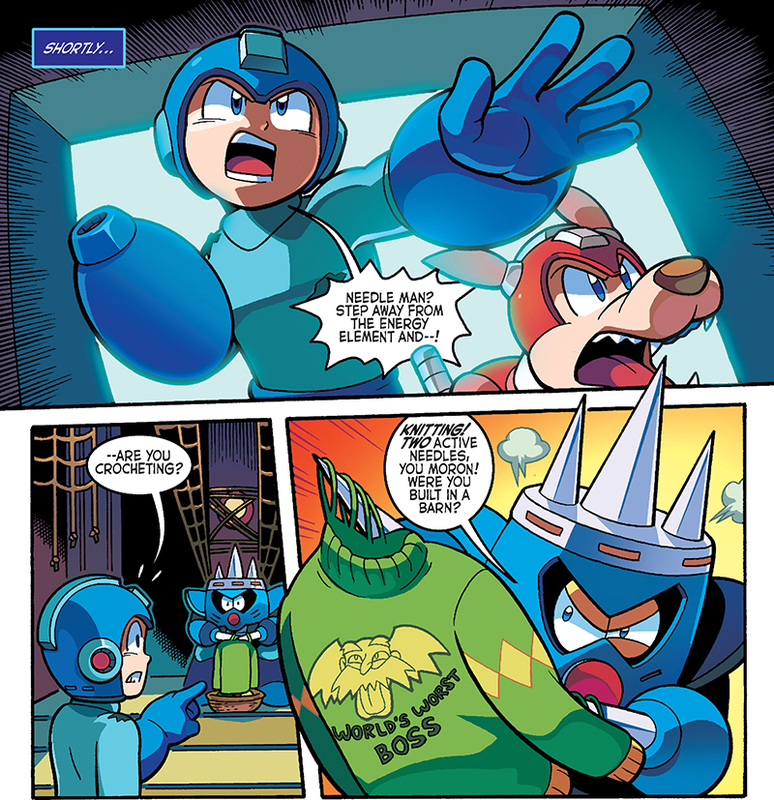 This glimpse into evil hobbies has been brought to you by Mega Man #43 (January 2015) by Ian Flynn, Powree, and Gary Martin. …and this comic book is not only aimed at children but also based on a 25-year-old video game, then you know you have something special and worth reading. 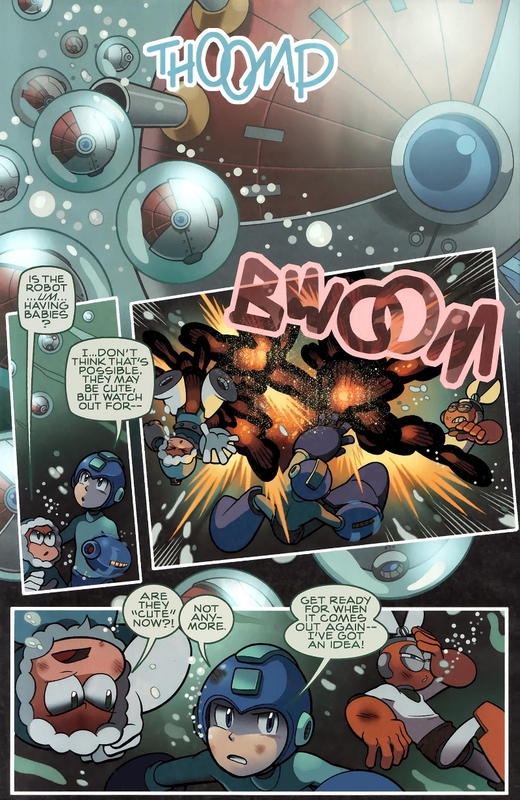 Seriously, go out and pick up a copy of the new Mega Man series by Archie Comic Publications. It’s the first title I’ve seen in a long time where the writer is as just as much of a fan of the characters as the readers are. 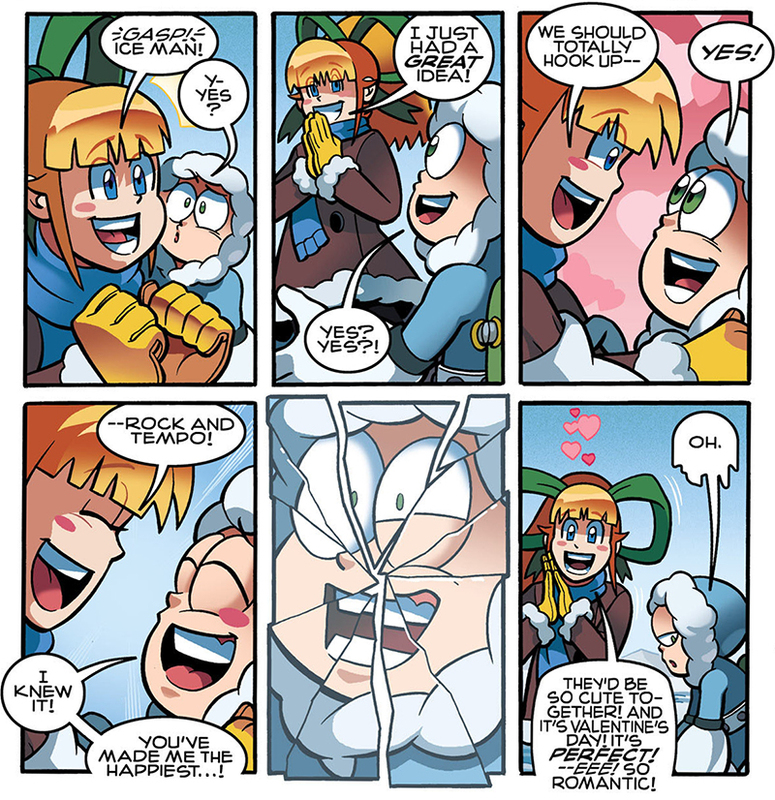 Subtlety, thy name isn’t Albert W. Wily. 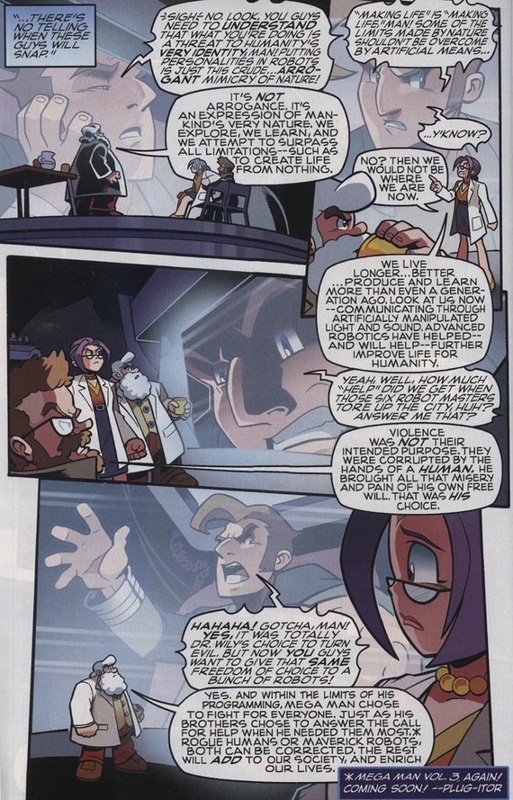 I kind of miss the classic “Dr. W”, personally. 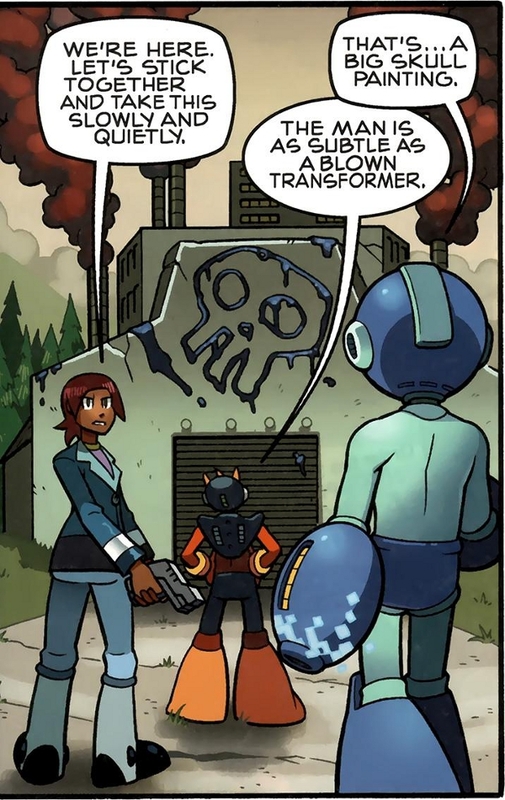 Today’s villainous fail courtesy courtesy of Mega Man #7 (January 2012) by Ian Flynn, Chad Thomas, Patrick Spaziante, and Gary Martin.